Egon Zweimüller's family-run business in Ennsdorf, Austria has become known as one of the world's best car restoration houses. Click through the gallery to see some of his most impressive restorations. 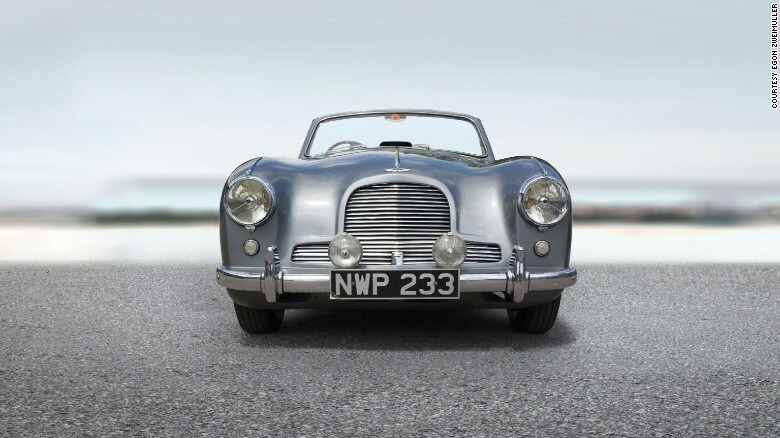 (Pictured: a rare 1954 AstonMartin DB2-4 Drophead restored by Egon Zweimüller). Austro Daimler Bergmeister Sports Cabriolet – In 2007, Porsche turned to Egon Zweimüller for the restoration of one of Wolfgang Porsche's classic cars -- the rare 1932 Austro Daimler Bergmeister sports cabriolet -- with the intention of giving it to the prestigious Porsche Museum in Stuttgart, Germany. 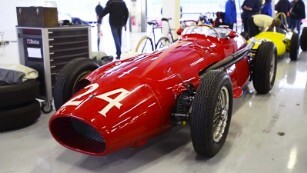 1954 Lancia D24 – Zweimüller's approach is straightforward: "I want to restore a car to factory delivery status -- to be exactly the same as the day it left the factory," he says. Alfa Romeo 33/2 Stradale – For each restoration, Zweimüller will draw on his vast collection of archived material -- books, photographs, production notes, technical drawings and specification sheets for a range of classic car names. 1933 Maserati 8CM – At one million pieces, his is the largest archive of its kind in Europe, and priceless because it's not digitized. It includes, for example, 20 of the notebooks that Ferdinand Porsche used to jot down ideas about various car projects. 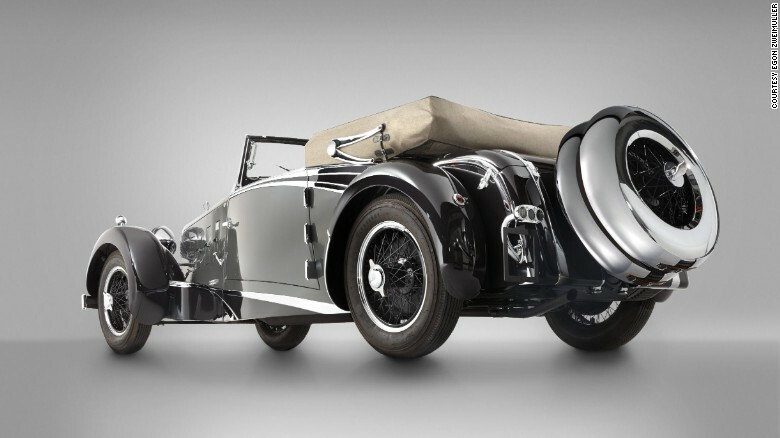 (CNN) When Wolfgang Porsche decided to give one of the classic cars from his private collection to the prestigious Porsche Museum in Stuttgart, Germany, he wanted the best possible restoration for the rare 1932 Austro Daimler Bergmeister sports cabriolet. This, after all, was an illustrious vehicle, considered one of the most beautiful cars of its era, with a body by royal coach builder Armbruster and a provenance to match. With money and time no object, Porsche turned to classic car specialist Egon Zweimüller In 2007, whose family-run business in Ennsdorf, Austria has become known as one of the world's best restoration houses. Ten thousand hours later, Zweimüller delivered a car sure to turn heads anywhere, from its first outing at the 2011 Pebble Beach Concours d'Elegance in California to its current home in the Porsche Museum. Egon Zweimüller grew up around cars and motorbikes, driving from the age of six, and riding bikes through the forests around Ennsdorf. In the 1960s, his father opened a wrecking yard (where the workshop now stands), and began collecting old cars and automotive bits and pieces that, over time, would morph into a fully fledged restoration business. Their restorations include a streamlined 1954 Mercedes-Benz Grand Prix racer, a Concours class-winning 1948 Talbot-Lago Grand Sport Franay cabriolet, a Bugatti Type 35C racer, and a rare 1900-01 Lohner Porsche hybrid electric car for Ernst Piëch, a grandson of another of Porsche's founder's, Ferdinand Porsche. Zweimüller has something a little more modern on hand too. At his workshop, the 42-year-old Austrian shows me a gold 1964 McLaren M1-A open prototype which, at last year's Concorso d'Eleganza Villa d'Este, picked up a mention of honor. This was the McLaren raced by two-time F1 champion Graham Hill, and briefly driven by Elvis Presley in the 1996 film "Spinout." Presley enjoyed the car so much he bought it from the movie's supplier. 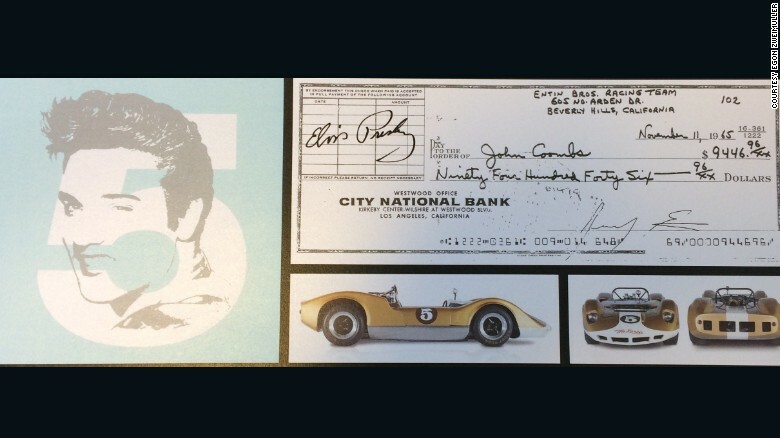 Now it's in Zweimüller's hands, along with another Presley car, a BMW 507. Restoring a classic car can be incredibly expensive, running into hundreds of thousands of dollars. But when the best and rarest examples from the likes of Ferrari, Bugatti, Mercedes-Benz and Porsche regularly bring millions of dollars at auction, it can make financial sense. "I want to restore a car to factory-delivery status -- to be exactly the same as the day it left the factory," he says. That means almost obsessive attention to detail. For each restoration, Zweimüller will draw on his vast collection of archived material -- books, photographs, production notes, technical drawings and specification sheets for a range of classic cars. At one million pieces, his is the largest archive of its type in Europe, and priceless because it's not digitized. It includes, for example, 20 of the notebooks that Ferdinand Porsche used to jot down ideas about various car projects. "You can't Google this information," Zweimüller points out. His eye for what's right in a restoration means that he'll even track down the old-fashioned nitrocellulose paint used on prewar cars. To illustrate his point, he pulls out an old Bugatti paint palette box to show the various shades of blue that founder Ettore Bugatti used on his vehicles. It was his guide for the recent restoration of a 1928 blue Type 35C racer. His approach to restoration is tempered by the realities of doing business. "Of course it depends on the client's wishes," he explains, referencing a job where the right factory color for a certain Bugatti was blue, but the client wanted it black. "So there is a degree of artificial license that can be taken." Sometimes, preservation is simply the best choice. 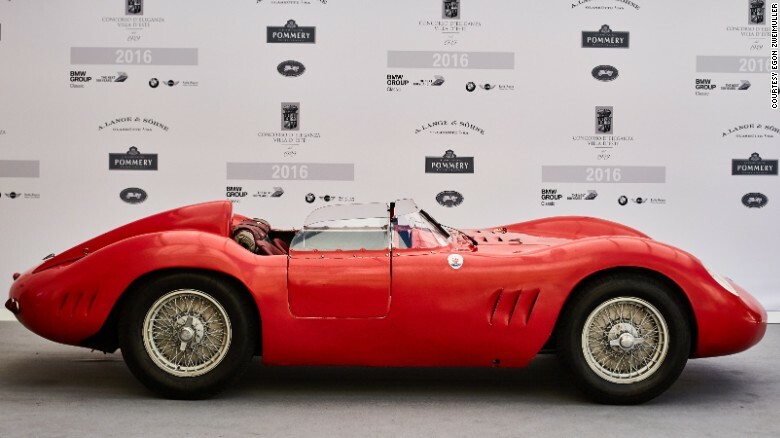 Zweimüller won best preserved postwar car at this year's Villa d'Este Concorso for his 1957 Fantuzzi-bodied Maserati 200Si. As he pulls back the covers to show the Maserati, he points out that its red paintwork is untouched since its creation almost 60 years ago. More covers are lifted to reveal projects in progress for various clients: a Bugatti Type 57, a Dino Ferrari, an Alfa Romeo 8C, and various Porsches, including a Le Mans 917 racer. The beautiful gray and white Austro Daimler Bergmeister is also on hand, back briefly from the Porsche Museum for its annual checkup. Zweimüller muses that if there were ever a Noah's Ark for cars, he would want the Bergmeister to be on it, along with a Volkswagen Beetle, and another of his favorite cars, the Alfa Romeo 8C 2300 Mille Miglia Corto that his father owns. Zweimüller says that while he loves prewar Alfa Romeos, it was a "great honor" and labor of love to restore the Bergmeister. "That vehicle was a concentration of the ideas and talents of Porsche and the engineers who followed him." "Everything was unique for the Bergmeister," Zweimüller explains. "Ferdinand Porsche was like Ettore Bugatti in that respect. It was haute couture for cars. 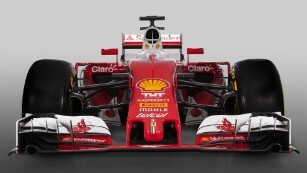 Everything was tailor-made from the chassis up, even down to the screws." As he locks up the treasure trove of classic cars in his workshop and storage area, Zweimüller says he has the perfect job. "I don't have to own these beautiful cars, but they are with me for thousands of hours."